The Lodges #1203 listed for $665,000: This luxurious, yet rustic, 2-bedroom, 2.5-bath condo with an attached one-car garage, and 1,856 square feet of living space, sits right on the Snowcreek Golf Course. This is one of only 3 Plan 1 models in Snowcreek's "The Lodges" with golf course frontage. Extraordinary mountain, golf course and lake views can be seen from almost every room of this single-level, ground-floor condo. Some of the many features include: Hardwood floors, slate tile floors, comfortable layout with two master suites, large great room for entertaining, gourmet kitchen with stainless steel appliances, granite counters, 8-foot doors, laundry room, forced-air heating system, alarm system, designer furnishings, “Restoration Hardware” light fixtures in great room, and more! This condo is being sold fully furnished and turn-key ready to enjoy! 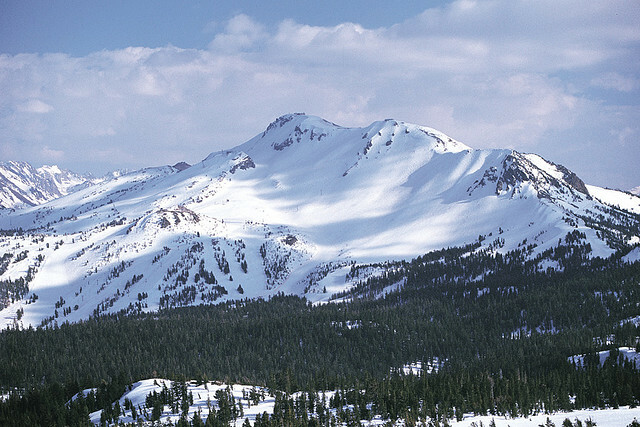 Click here to view all of the Lodges condos for sale in Mammoth Lakes. Snowcreek I #93 listed for $485,000: This two & loft, 2-bath condo with 1,331 square feet of living space in phase 1 of Snowcreek Condos for Sale offers a breathtaking setting and views bordering the Snowcreek Meadow Preserve. It’s not every day that a condo with this type of unique setting comes on the market. 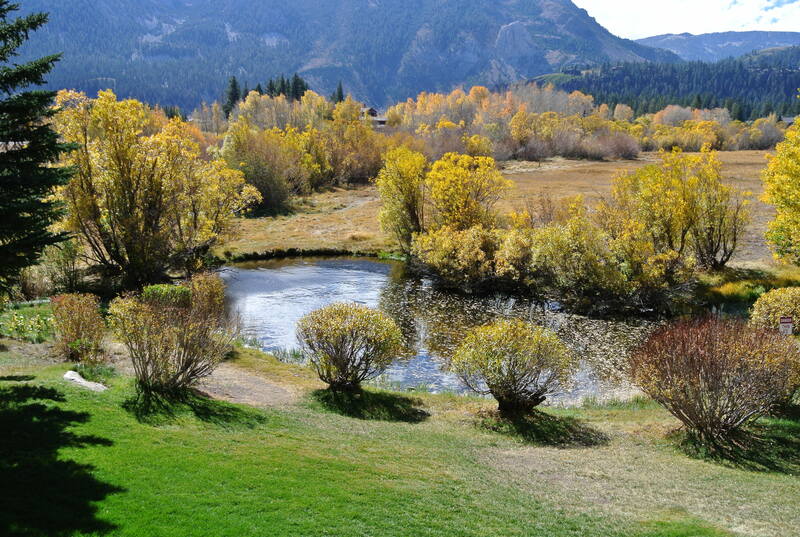 In addition to the gorgeous mountain and meadow views, the condo has been beautifully remodeled. Some of the many features include: Hardwood and slate floors, pine doors and trim, granite counters in the kitchen and baths, new cabinets in kitchen and baths, travertine tile showers, new appliances, recessed lighting, a wine storage closet and more. This condo also has a convenient location close to the ski shuttle. Monthly HOA dues are $533.00. 77 Shadow Pines Road, June Lake listed for $675,000: This elegant mountain chalet built in 2003 features 4 bedrooms, 3 baths, an attached 1-car garage, and 2,137 square feet of living space. Situated on a 10,019 square-foot lot in June Lake’s Silver Lake Pines Tract on a quiet cul-de-sac and offering incredible unobstructed views of Carson Peak, some of the many features include: Hydronic heating system, solid core doors, wide-plank wood floors, Hickory cabinets, high-quality windows with extra insulation, heated rain gutters, Jacuzzi and more. This home is being sold fully furnished and turn-key. Click here to view all active June Lake real estate listings. 320 Twin Lakes Lane listed for $1,450,000: Located on a quiet cul-de-sac in the Graywolf subdivision close to Canyon Lodge, this 4-bedroom, 4.5-bath home with attached 2-car garage features 3,155 SF of living space on a 7,405 SF lot. 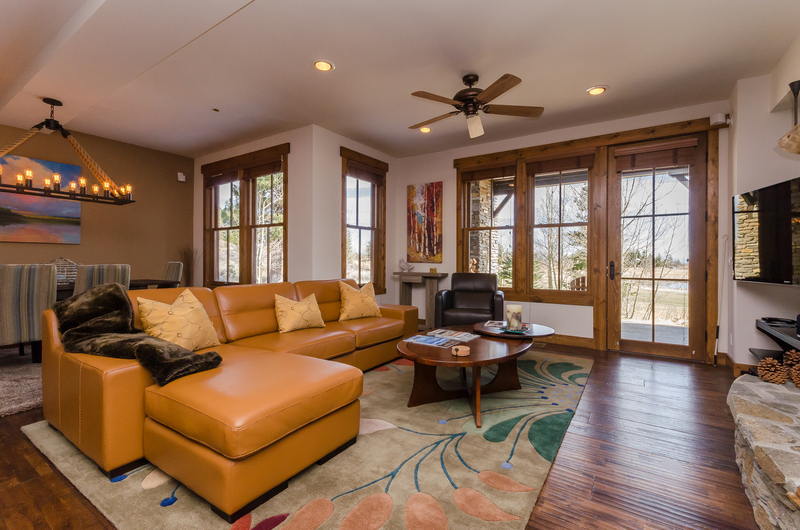 Built in 2006, this Mountain Craftsman-style home offers 4 master bedroom suites, all with private attached baths. Some of the many custom features of the home include: Hardwood floors, gourmet kitchen with granite countertops, Viking stainless-steel appliances, vaulted ceilings, large family room, multiple decks, views towards the east of the White Mountains and being sold fully-furnished. 165 Pine Street, The Bluffs, Mammoth Lakes, listed for $3,499,000: This spectacular custom home built in 2008 is located in the high-end “The Bluffs” neighborhood. Some of the many features include, gorgeous and unobstructed views of Mammoth Mountain ski area, private and forested setting backing to Forest Service land, 5 bedrooms, 4.5 baths, 3-car garage, 4600 square feet of living space, 16,117 square-foot lot, large great room with custom light fixtures, Hickory wood floors, Alder cabinets, floor-to-ceiling windows, private office on the main level, large outdoor decks, billiard room on lower level, Jacuzzi, wired for audio and security, French drains, HVAC heating system with humidity control, heated bathroom floors and exterior logs are imported from Canada and Colorado. This meticulously well-kept home is impressive and regal. Out of the available The Bluffs Homes for Sale in Mammoth, This one is a “must-see” if you are looking for a luxury home in the Bluffs. If you are interested in scheduling a property showing appointment to view any of these properties or other active listings in Mammoth Lakes, June Lake or Crowley Lake, please feel free to contact me directly anytime.